Originally conceived by Kurt Cobain, LIVE! TONIGHT! SOLD OUT! is a video document of Nirvana’s rise from a scruffy trio from the Pacific Northwest into one of the most iconic and important bands in the history of rock music. Combining live material from their ’91-’92 Nevermind tour, LIVE! TONIGHT! SOLD OUT! has long been the “holy grail” for Nirvana fans. 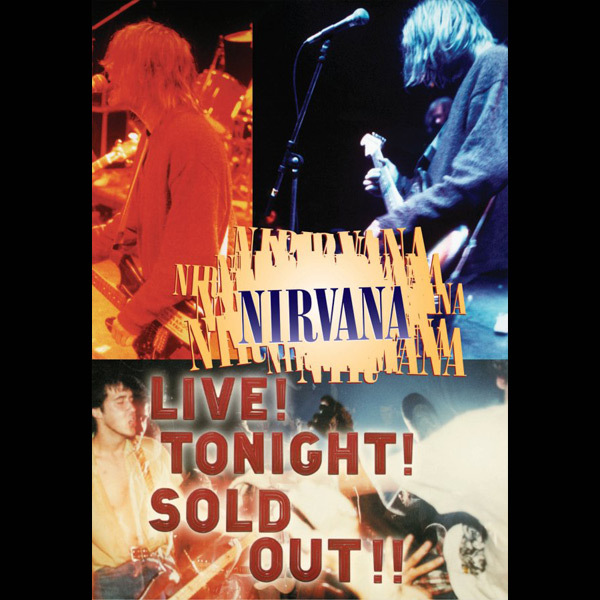 Digitally remastered live performances of songs like “Smells Like Teen Spirit,” “Lithium,” “Breed,” “Drain You” and “Aneurysm” are mixed into loads of interview footage from across the world. In addition to the complete original program, several previously unreleased performances are included as bonus DVD extras.